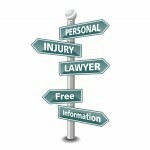 We are a successful and respected Law Society approved Personal Injury firm. Feel free to read some of our happy customer testimonials by clicking to the right here. If you’re looking for a law firm who know what they are doing and will strive to achieve what is right for you and your circumstances, then you have come to the right place. We have recovered £50M for our clients, getting them the compensation they deserve. Are you a pedestrian that has been hit by a car and want to know if you are able to claim compensation? In 2015, 408 pedestrians were killed and 4,940 seriously injured after being hit by a car on UK roads. A further 18, 713 suffered slight to moderate trauma. Being hit by a motor vehicle can cause life-changing injuries. At Russell Worth, our experienced personal injury lawyers have managed thousands of similar claims over the years and have a strong track record of claiming significant compensation for victims of pedestrian accidents. If you the pedestrian are hit by a car, van, lorry, bus, motorbike or even cyclist, you are likely to come off worse than anything that hits you – it’s logical; you have literally NO protection. Often it’s the case however that those hit and looking to make pedestrian accident claims are children, the elderly and vulnerable which can leave them in a seriously injured condition. Despite many advances in vehicle technology and design to try and reduce the serious personal injuries sustained in a collision with a passenger, there are still considerable forces present, which can cause serious injuries. Even if you didn’t sustain the injury from a direct impact, we can help you if you have been injured trying to dodge a vehicle that was being driven erratically. width=”150″ height=”150″ />For most personal injury claims we operate on a No Win No Fee basis which means if the case is lost, we do not charge you. The initial assessment stage of the process is to find out if you have grounds for a claim and based on the results for this, we will decide whether we can operate on a No Win No Fee basis. Our claims handlers and solicitors are all highly trained in the field of personal injury and our firm has been accredited for personal injury by the Law Society. Pedestrians and drivers – Usually these types of accidents happen because either, or both, the pedestrian and driver are not paying due care and attention to their surroundings. Pedestrians do often step out into the road without even looking but too often, it’s the drivers fault, as they are either driving too fast and / or generally not paying attention to the rules of the road. Frequently drivers involved in pedestrian accidents have run a red light or failed to stop at a zebra crossing. The Councils fault – if they have failed in their duty to correctly light an area, provide suitable signage or have allowed a particular piece of road or pavement to go into disrepair, then they should be held accountable. Pedestrians accidents that involve uninsured or hit and run drivers are in good hands too – in this instance we would claim from what is known as the Motor Insurance Bureau (MIB), which deals specifically with this type of claim. Get in touch with us today! There are strict time limits for logging your pedestrian accident claim so it pays to speak to us as soon as you can. These types of claim are only made when they need to be – it’s not like it’s a nice thing to be involved with but we’ll do our very utmost to get you the treatment you need for your injuries as well as the compensation you deserve. If you’re unsure whether to claim, please take a look at our why claim section as we think this helps puts things into perspective. We’ll help you put a claim in against the driver or other party that caused the accident and will notify their insurance company of your intent to claim against them. For most personal injury claims we operate on a No Win No Fee basis which means if the case is lost, we do not charge you. The initial assessment stage of the process is to find out if you have grounds for a claim and based on the results for this, we will decide whether we can offer you a No Win No Fee arrangement. As we are taking on all the risk and expense of your claim, you can be confident of our dedication and commitment to successfully getting you as much compensation as possible. Not only do our solicitors assist clients by recovering compensation for them, they often help rebuild the confidence of claimants, many of whom have felt no-one has taken their trauma and ongoing suffering seriously. We treat all clients with respect, dignity and take the time to listen to their story and understand what they hope to achieve from making a claim following a pedestrian accident. If you have been hit by a car as a pedestrian, our no win, no fee arrangements can make it easier for you to claim compensation. Take a look at our page specifically listing what actions should be taken after an accident. Although you were probably taught the Green Cross Code in school, it pays to practice it. Don’t wear headphones – if you do, you’re putting yourself at a great disadvantage as you have lost one of your vital senses, which could save your life. Wear bright clothing when out on the streets – in the same way cyclists wear brightly coloured jackets and reflective strips, the same applies to you. It could mean the difference between a car driver seeing you and not. Pets – animals that are not under control can lead to pedestrian accidents for example: dogs on leads that are not under owner control have been known to run across the road in front of a cars and have caused quite terrible accidents. Refrain from distractions – using phones, playing mobile game devices, reading books or any other distractions will severely hamper a person from being aware of any imminent dangers. When it comes to pedestrian accident claims, Russell Worth has it covered.